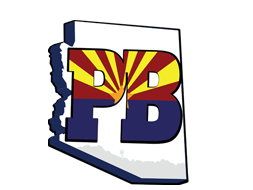 AZ Paradise Bouncers provides party rental delivery service to the greater Phoenix Arizona area and it's surrounding communities. We service communities like Avondale, Buckeye, Deer Valley, Glendale, Goodyear, Litchfield Park, Peoria, Paradise Valley, Phoenix, Scottsdale, Surprise, Sun City, Tolleson, Waddell and West Wing. This is just a partial list and does not represent our entire delivery area. If your specific location is not mentioned here, please call us at (602) 366-5566 and we will be happy to assist you an exact delivery price for your location.